Time to check another thing off of my "DIY baby" list. Today I decided to try my hand at a DIY crib sheet. 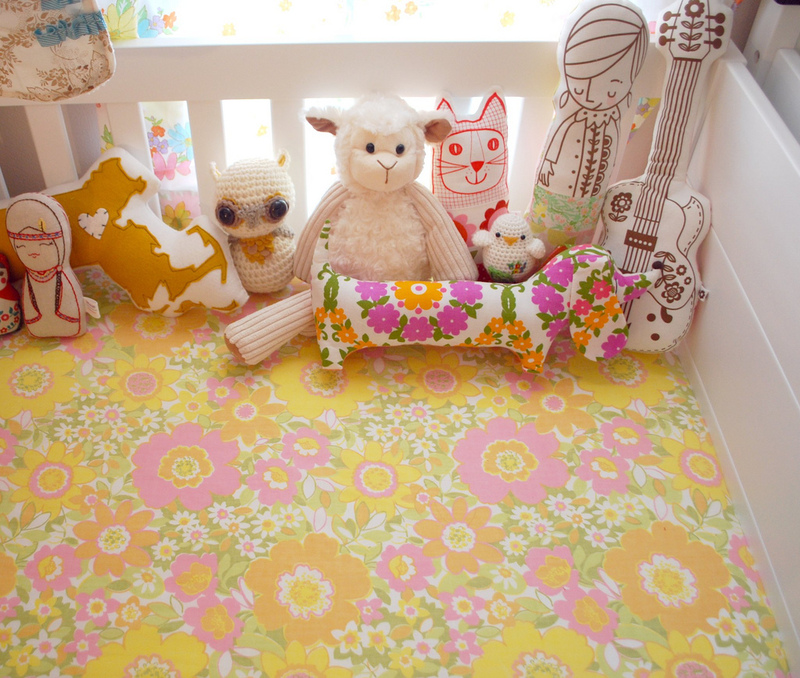 As you can probably tell, I am going for a vintage floral theme in the nursery and handmade feel. 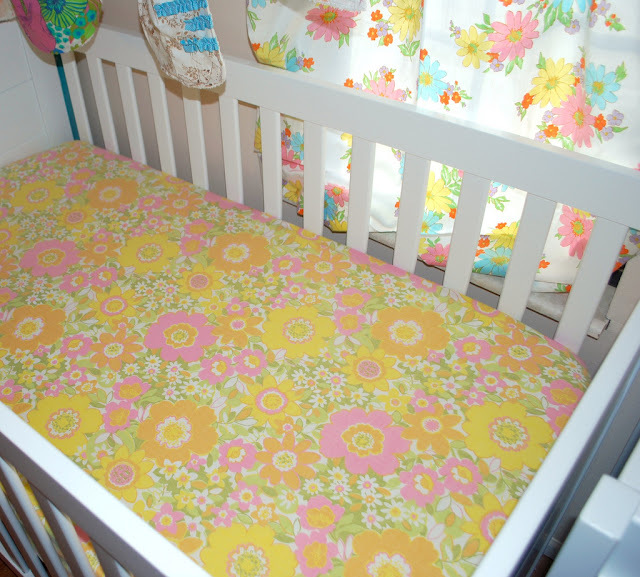 I had scored this vintage sheet some time back and decided that it was the perfect pattern for the crib sheet. Yes, yes, I love it a lot!! do you have a tutorial for that??? I love it! That's one lucky baby!!! i love it! 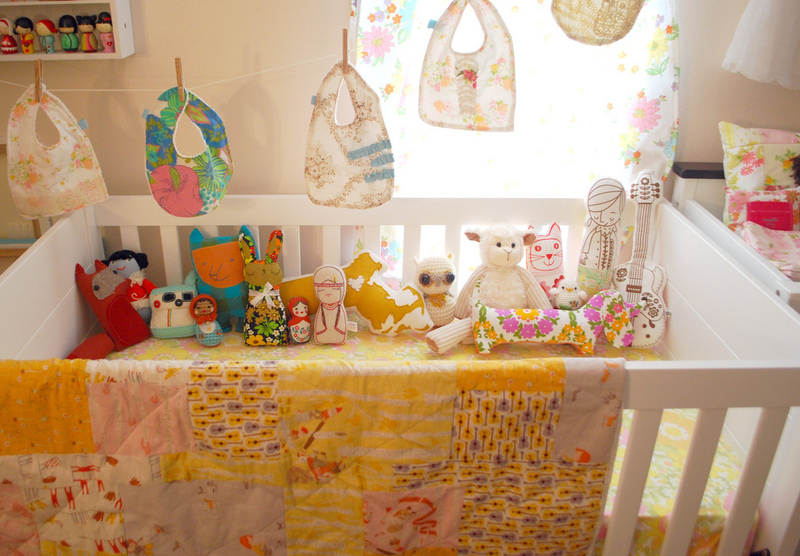 the nursery is starting to look awesome! 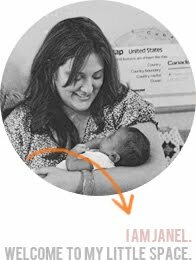 best of luck to you and the adoption, that baby is going to be so blessed to have parents that love her so much! i am loving all the nursery things you are posting! everything is so beautiful & I wish i was having a girl to steal some ideas!! you should post your picks for a boy room!!! I would looooooooooove to see that! You are so motivated with all your projects! I'm so impressed. I MUST know how you made that sheet. I would love to make one for our nursery. 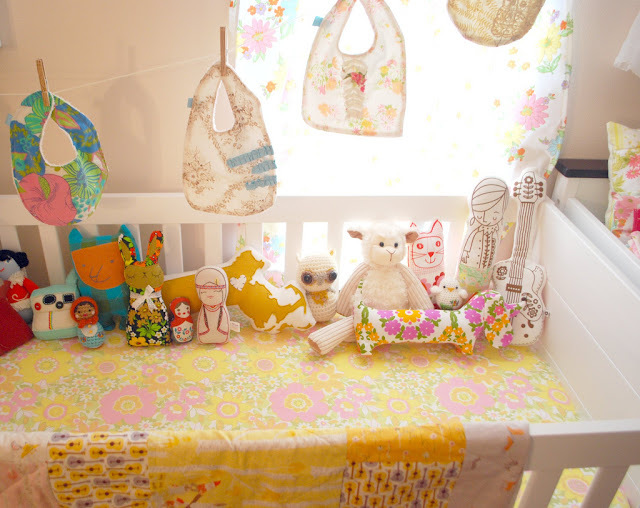 This is one of the cutest nurseries I've seen! I love the lil sheep! Love seeing everything you are making! 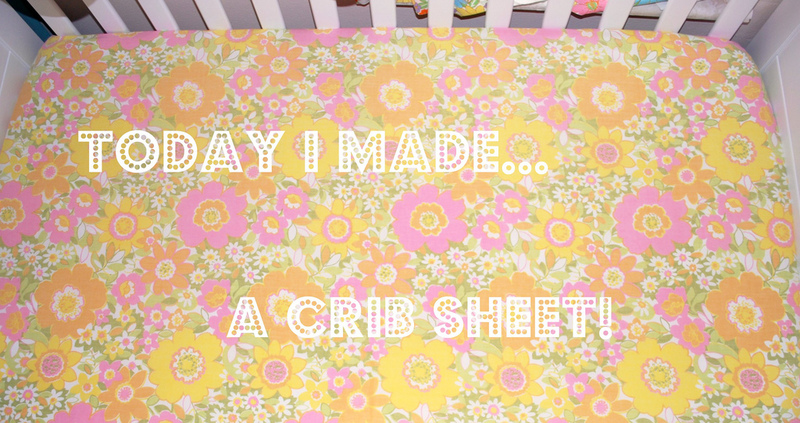 do you think youre able to make two fitted crib sheets from one sheet?! looks awesome- good job!